A public art project, commissioned by Leeds City Council. 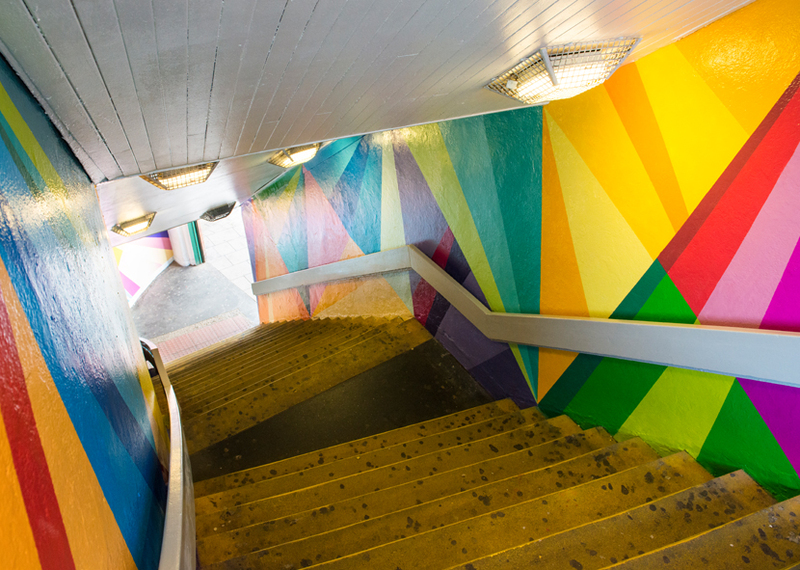 The stairwell from Bishopgate Street to Leeds Train Station was in need of a facelift. The brief was to revitalise the space making it more welcoming. For minimal disruption to travellers, the steps remained open during the daytime, therefore all work had to be carried out during the night (9.30pm-4am). 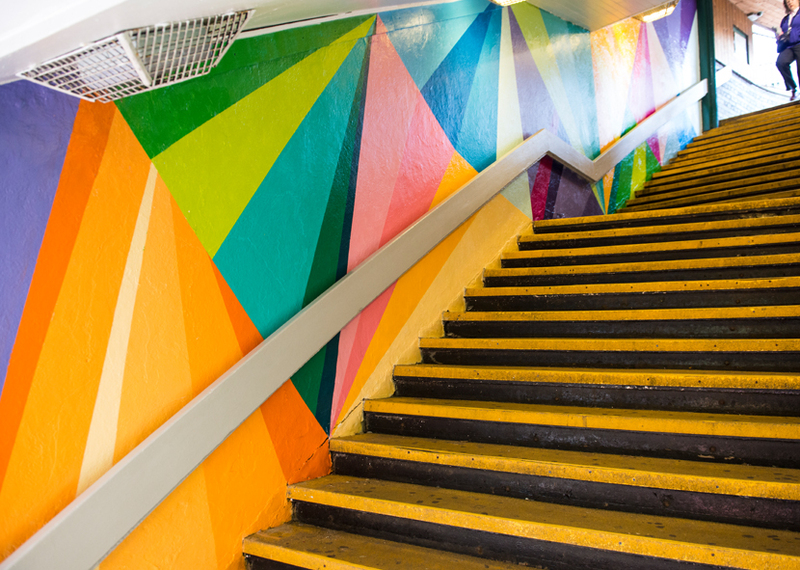 After cleaning, stabilising and undercoating the walls, the design was sprayed on with luscious Loop paint. The ceiling got a fresh white revamp, and the handrails turned light grey. I went bright and abstract with the design, and learned that 3am is not the time I make my best decisions. Big thanks to the team at Leeds City Council (Rebecca, Mark and Highways Lee), and all the Leeds Train Station night staff that made this job a joy.